58 buyers have shortlisted this project. Apartments starting from Rs.55.52 Lacs. Rumah Bali is a project comprising of Stilt +29 having 13 towers on 10 acres plot offering you 1, 2 & 3 BHK apartments with modern amenities. 70 percent of the area is open spaces. Rumah Bali B1 details were updated in Mar 2016. Buying a home is a huge thing, especially for the middle class family for whom owning a home is one of the biggest financial decisions. With a new home, comes hope. Apart from providing shelter and succor, owning a home is a legacy that continues to exist for future generations. That's exactly what Puranik Builders has been achieving. Since 1968, Puranik Builders has made every effort to build properties that have turned your dreams into a reality, your desires to fulfillment and your hopes to happiness. Currently, Puranik Builders owns a land bank of 300 plus acres and is progressively expanding its area of business into wider territories across India. Our ventures include ongoing and upcoming residential properties in prime areas of Mulund, Thane, Dombivali, Neral, Pune, Nashik, Kalyan and Lonavala. Our future endeavors comprise of a range of realty projects, namely residential, commercial, retail, IT Parks and row houses. 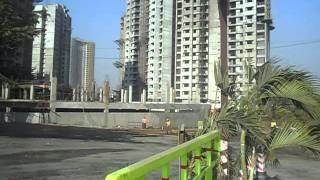 Rumah Bali B1 - Puranik Builders Pvt Ltd Approved by the following Banks in Mumbai, Thane and Navi Mumbai. Click on the link below to download a Printable Rumah Bali B1 Project Brochure.